Shaft: No, thank you. What else can you help me with? Cigarette Girl: Well, I'm off at four o'clock. My Take: Fine Harlem-set thriller with a thrilling climax. Richard Roundtree returns as the black foul-mouthed private eye John Shaft, reprising the role he made famous in the previous film SHAFT. 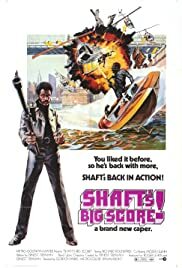 Made in 1972, SHAFT'S BIG SCORE clearly shows its age as an old star vehicle. Almost everything, from clothing, quips and concept, have been outdated by today's bigger standards. Still, there's much to enjoy in Roundtree's iconic portrayal as the private eye Shaft as he gets tangled up with the mob, led by gangster Gus Mascola (Joseph Mascolo). So much of the film is devoted to a lot of mob meetings and Shaft at his private eye work, and less comes the action. 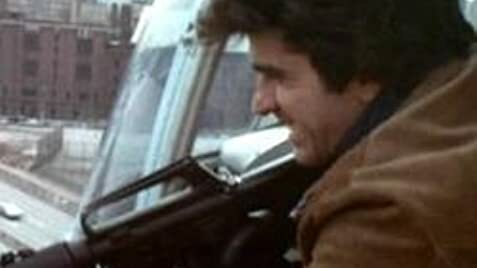 Up until the finale, a terrific long helicopter chase, the film is devoted to Ernest Tidyman's (THE FRENCH CONNECTION) well-written if often tedious screenplay. Long out-dated and outdone by better anti-Bond cop movies as DIRTY HARRY and THE FRENCH CONNECTION which still stood the test of time. Still, SHAFT'S BIG SCORE! is an enjoyable caper, Roundtree and the action finale delights. Rating: *** out of 5.